CAS Students practice fielding and hitting after learning physics of baseball. 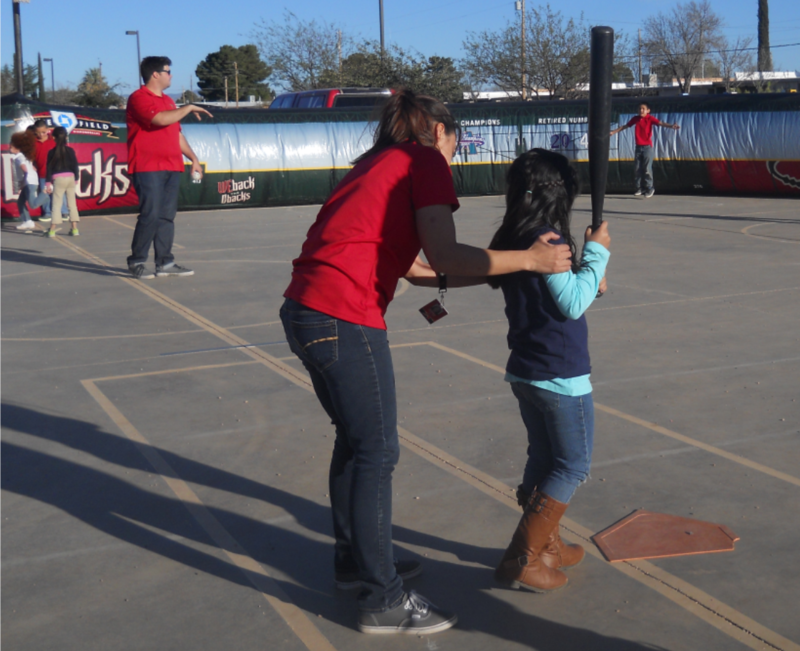 The Center for Academic Success was excited to host the Arizona Diamondbacks street team on February 27th for its second-annual Science of Baseball spring training event. Students in Kindergarten through eighth grades rotated through a series of teacher and baseball player led stations which combined the fun of America’s favorite pastime with hands-on physics and bio-mechanical study. Some stations included face painting, where students could get a baseball painted on their cheek, trajectory of flight, where students used blocks and rubber bands to send projectiles through the air with the goal of landing on paper plates worth varying amounts of points, and elasticity ball drop, where students predicted which of four different types of ball would bounce the highest based on its elasticity. Students launch small balls off wooden platforms cut a differing angles to envision trajectory. Students also enjoyed testing trajectory of flight by launching rubber baseballs into the air with a large slingshot. This allowed students to field test how “pop-flies” and “line drives” result from a bat hitting a ball at differing angles. Further, they tested their base-running skills and the idea that a curved arch provides a faster route from home base to second than two straight lines would otherwise. Earlier that week, students and teachers had reviewed the scientific topics of: trajectory of flight, elasticity, and angular momentum all within the context of baseball in motion. 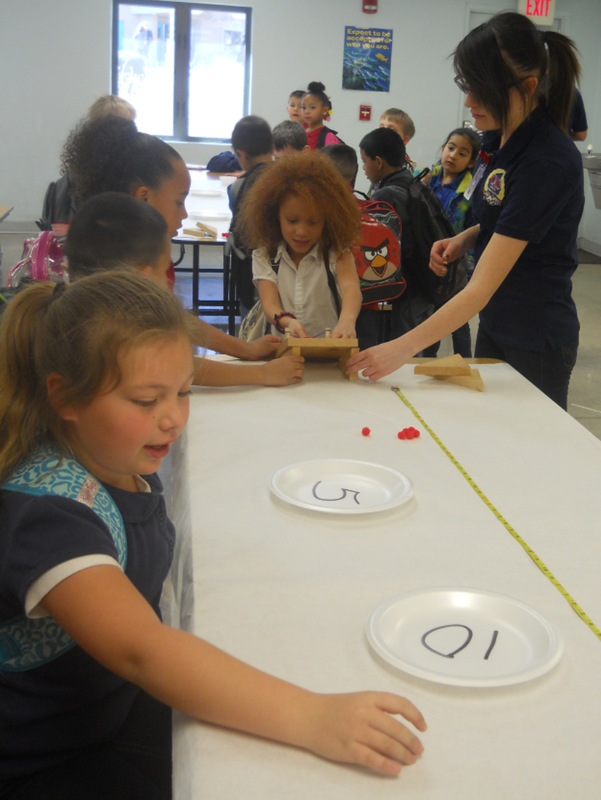 This culminating, hands-on activity provided a three-dimensional physics and mathematics lesson all while having a great time in the Arizona sunshine. The middle school dance team kicked-off the event with its first-ever performance to keep the mood celebratory. 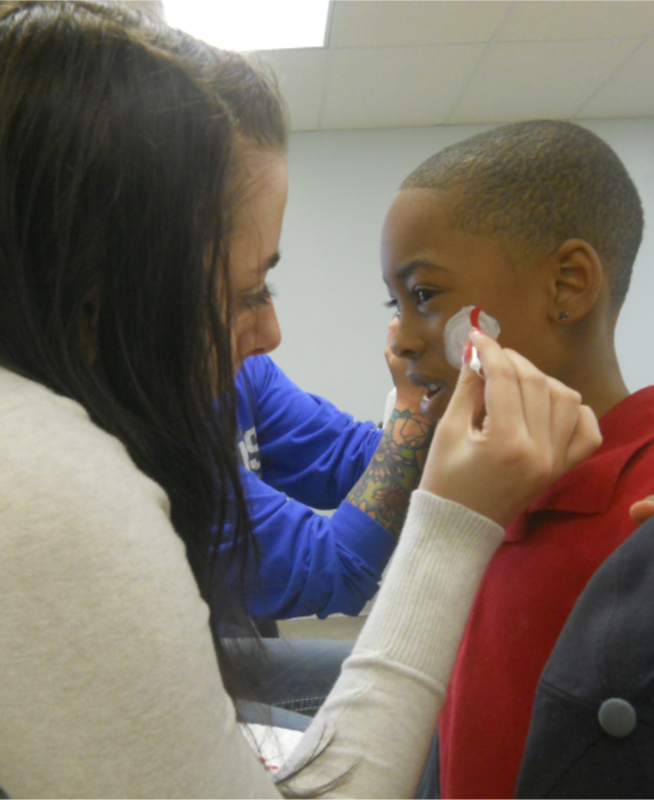 Face painting lends a fun atmosphere to the baseball-themed event.